Howard Properties provides a full suite of commercial real estate services in our local market of Westchester County, and throughout the country. With expertise in multiple product types and transactions where businesses of all sizes all sizes benefit by having a knowledgeable, professional tenant representative on their side. 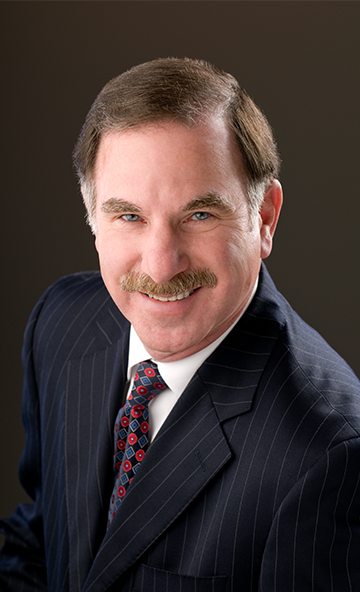 Howard Greenberg originally represented our company in the sublease of our space in 2004. We secured a full floor, with an upgraded installation, at a very attractive price from the previous tenant. Our sublease term was to expire in late 2011, and we wanted to stay in the space as a direct tenant. Howard strategized and conducted our negotiations with the building ownership so that we were able to smoothly and economically transition into a direct tenancy. This saved us significant dollars and time, as we did not have to relocate our entire operation from a space that clearly had worked for our business for the last seven years. Howard Greenberg found us the perfect building for our first data center. He did the research to prove to us that this former IBM facility had been built with much of the infrastructure that we needed for our new operation. It meant that Cervalis would save millions of dollars in construction costs. We leased 71,500 SF for our company, and have since expanded this center to 100,000 SF. We have relied on Howard for every real estate transaction Cervalis has done since we began the business, including our 55,000 SF Stamford facility and our newest 148,161 SF data center in New Jersey. These are all high value, complex transactions, and we have always had the confidence in him to research, strategize and execute our real estate plan. We formed our firm in 1996 and Howard Greenberg was involved as our real estate advisor from the very first day. Since our first sublease space of 6,000 SF, we have grown to four offices in four states and more than 28,000 SF. Howard has always counseled us well. He has an excellent understanding of law firms and their specialized needs. His professionalism and his excellent relationships with building owners have enabled our firm to intelligently manage its growth and its real estate budget. Howard Greenberg did an excellent job for Micromold Products,” said Justin Lukach, President of the company. “He understood our unique real estate requirements and put together a great team of professionals to aid us in all aspects of the process. He used his market knowledge and negotiating expertise to make sure that our new facility was as state-of-the-art as it could be, while being as cost-effective as possible. Howard added value to the transaction throughout the process.